"MODERN TRENDS IN PURE MATHEMATICS"
Convener: Rev.Fr. 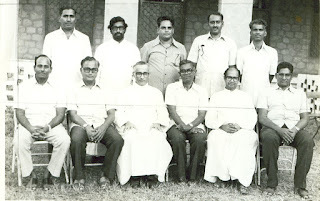 Dr. G. A. P. Kishore, S.J. Patron: Rev. Fr. D. RAVISEKHAR. S.J. Patron: Rev. Fr. FRANCIS XAVIER, S.J. Govt. of Andhra Pradesh, Vijayawada. 1. Prof. M.A.S.Srinivas, Dept. of Mathematics,J.N.T.U., Hyderabad. Ministry of Human Resource Development, Govt. of India, New Delhi.